Citrus Juicer With Pulp Separator Just $33.99! Down From $110! PLUS FREE Shipping! You are here: Home / Great Deals / Amazon Deals / Citrus Juicer With Pulp Separator Just $33.99! Down From $110! PLUS FREE Shipping! Check out this 90W Double Citrus Juicer With Pulp Separator which is on sale at Amazon for just $33.99 down from $109.99 PLUS FREE shipping! The CUH aims to provide the suitable orange juicer for each of you and their notion is to provide the right product to lighten your life. 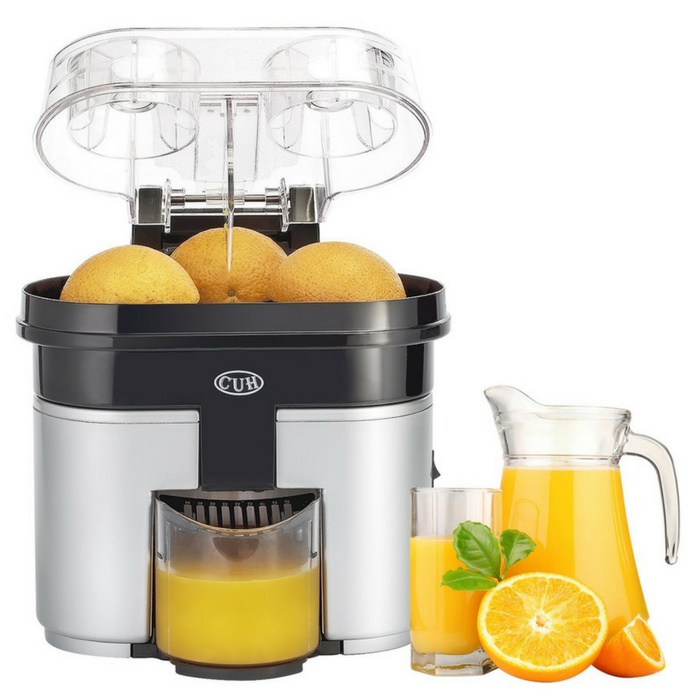 This citrus juicer electric fits for orange, lemon, grapefruit, lime.